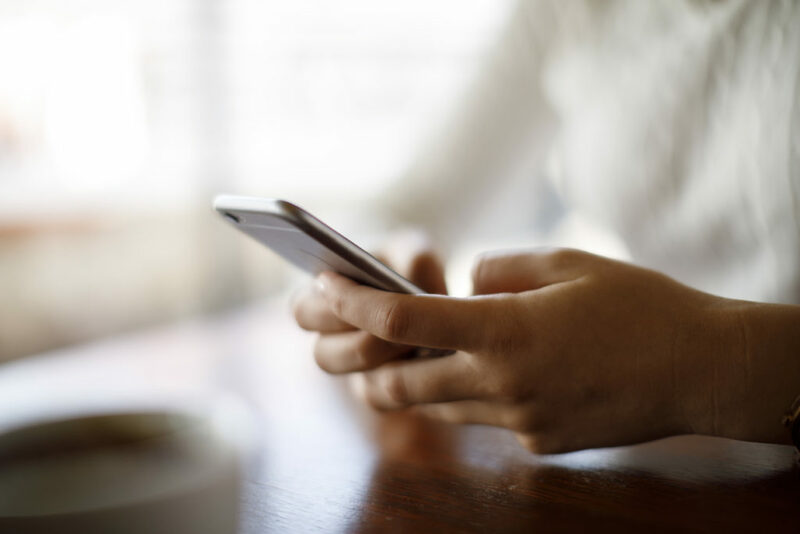 If you spend a few hours or more on your phone, tablet, or other handheld device and are experiencing neck pain, you might not be surprised to hear that there’s a connection between the two. Mobile devices are almost impossible to avoid, and many people spend a lot of time on them for leisure and work. However, the love of your device can have an adverse effect on your orthopedic health, thanks to the posture you put yourself into when using it. Typically, people use mobile devices by placing them in their hands or on their lap and looking down at them. This puts your neck in a forward, downward, bending position. While it may not hurt initially, this position is not an ideal way to keep your neck for extended periods of time. The average head weighs about 10 to 12 pounds, and the neck takes on most of this weight. When the head is bent forward and downward, the neck feels significantly more pressure than it does when the head is in straight, upright position. This is because the weight your neck has to “carry” is significantly heavier when the neck is bent as your head moves further away from your center of gravity. This eventually leads to a host of problems, including a repetitive movement injury in the neck – now frequently referred to as “text neck” syndrome, which gives a nod to the common practice of texting on a mobile device. The pain can happen after hours of using a mobile device in front of you – either in your hands or on your lap – or within a few minutes, depending on the severity of the situation. Typically, the pain gets worse and comes more frequently as time passes. In some severe cases, the pain can travel down the spine and into the shoulder blades. Another common symptom of mobile device use is feeling soreness in the neck and shoulders. This can feel similar to post-exercise soreness, but instead of going away after a few days, it gets worse. After using a mobile device, you may find it difficult to move your neck in different directions as easily or quickly as before. The lack of mobility may cause your neck to feel frozen in place or pulling in one direction. Over time, this neck stiffness can affect your jaw movement as well. In initial stages, the pain can be eliminated or reduced simply by spending less time on your mobile device. Instead of several hours using it, you might spend just half an hour at a time, and at the very least, take periodic breaks in between sessions instead of using it straight through. Another way to reduce neck pain, soreness, or stiffness is to fix your posture when you use your mobile device. Instead of placing the mobile device in your lap or hands and looking down, you can prop the device on a few pillows or a table. This way your neck isn’t in a downward bending position as you use the device. Certain neck exercises can strengthen and stretch your neck muscles and tendons. Doing these can help increase flexibility and reduce pain and stiffness in your neck. If you use mobile devices on a regular basis, it’s easy to experience unwanted symptoms like neck pain, soreness, or stiffness. If this applies to you, talk to a doctor about what you can do to reduce the symptoms. In cases where at-home adjustments aren’t helping, your doctor may recommend medications, physical therapy, or other treatments to fix the underlying damage to the neck and to control the pain. The experts at Orthopedic Associates of West Jersey treat a variety of orthopedic issues on a daily basis, including neck pain. If you are experiencing neck pain or any other orthopedic problem, we can provide you with advanced treatments catered to your specific needs. Call us at (973) 989-0888 to make an appointment today. You can also request an appointment online.